Lovely oak tree with your initials engraved on its mighty trunk, this wedding suite was designed with you in mind. 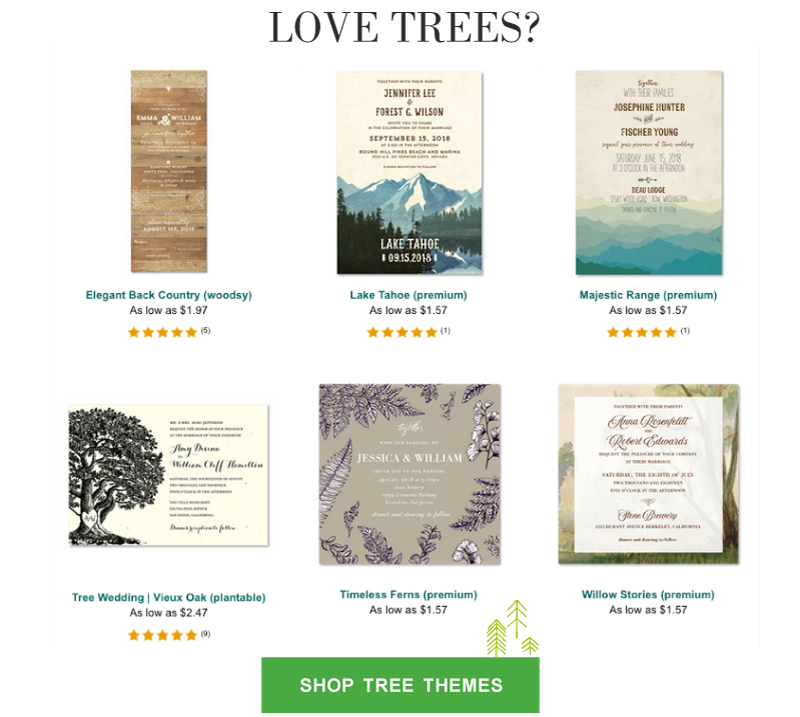 Ideal if you're getting married in the family estate, close to Mother Nature, this classic invite will be sure to capture the excitement of your special day. Created with love on seeded paper which will bloom into wildflowers once planted. Handmade with love in San Diego, California. I am so happy with these invites and the experience with Forever Fiances. The design is simple and clean, the seed paper is thick and hearty and the speed with which I received my order was terrific as well. Thanks so much! I can't wait to get these out to my family and friends! Great customer service and super fast with the proofs. The invitations will be wonderful thank you so much. Simply the best! I had a few questions and needed to order samples. The Forever Fiances provided excellent service and made my ordering a pleasant experience!